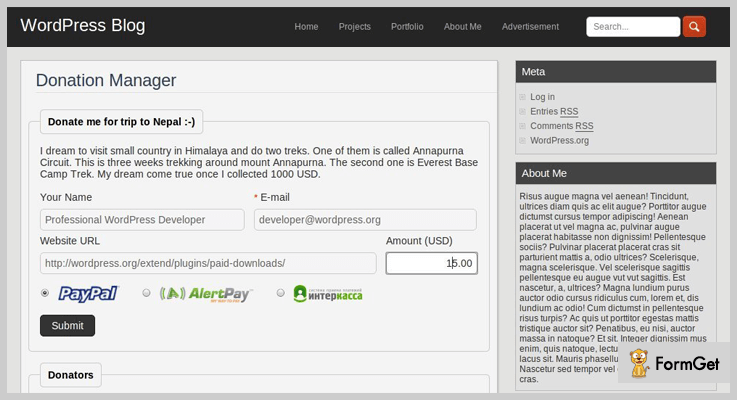 Online Donations and fundraising have now become possible using Donations WordPress Plugins. To get a complete sketch of your online fundraising needs you need a powerful, well-managed and optimized donation plugin. Your WordPress donations website has to be managed in many aspects such as Donor list, Donor statistics, Reports so as to achieve the goal of accepting charitable gifts through online giving. Give is the best Donations WordPress Plugin. Give is a well known WordPress Plugin in the WordPress world because of its highest ratings, numerous downloads and the best support. It provides you with a robust and optimized donation platform for online giving. This plugin has very powerful features to help you raise more funds for your purpose from one, effective platform. The Give Donations WordPress Plugin basic tools are about $15/mo. that are billed annually. Used to build customizable donation forms in your WordPress administration. To integrate seamlessly Give inherits your theme’s styles. Reports contain filters such as date, payment method and much more. Give is used to measure performance across multiple campaigns. Give controls your data with reports and exports. 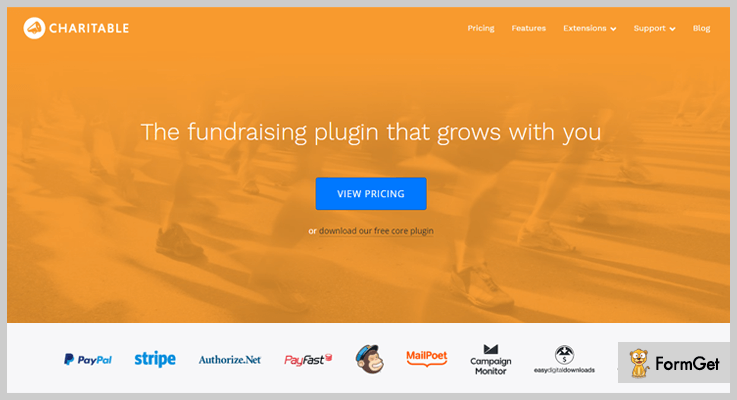 To create easy to use fundraising campaigns use Charitable Donations WordPress Plugin. You can create and manage as many campaigns as you would like. The peer-to-peer fundraising can be used to leverage your supporters network of friend and family with Ambassadors. Charitable plugin Basic Bundle plan begins with $19. Provides PayPal and Offline Donations for free, and variety of premium gateway extensions. Provides donations management system to manage each donation and arrange and export donations as a CSV file. Its developer-friendly and contains a library of code snippets to customize. Provides specific integrations with some themes. 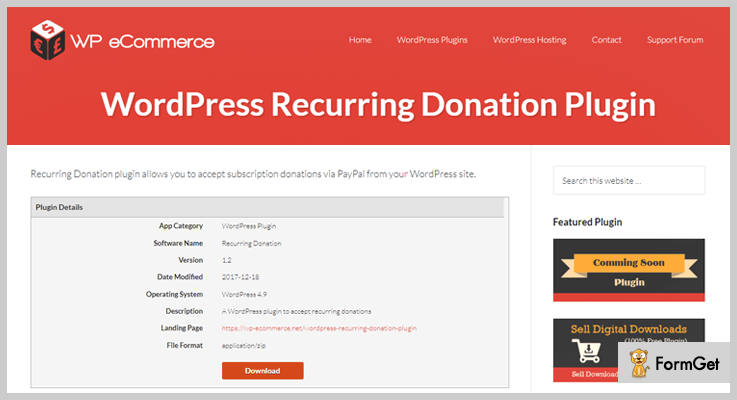 PayPal Donation Pro WordPress Plugin allows you to organize recurring donations on each button and set up the recurring payment details. Just install the plugin and enter your PayPal Email ID or a Merchant ID in the plugin settings and start receiving donations. PayPal Donations Pro WordPress plugin has a single site purchase of $79.95 for a yearly License plan. Provides page/post inserter and a widget area. Supports recurring donations on each button. Drop-downs can have different recurring options. Instead of only 10 dropdown options Now, the standard version contains 20 in the non-recurring drop-down menu. Donation Manager for WordPress is the only WordPress Plugin that supports 6 payment gateways. To start receiving donations you only need to create a donation campaign and place shortcodes on the page. After a donation, it automatically adds your user to the donor list. It accepts payments via PayPal, EgoPay, InterKassa, Authorize.Net, Payza/AlertPay and Skrill/Moneybookers. The Latest Version 2.00 of Donations Manager WordPress plugin begins with a regular licence fee of $18 for 6 months which can be extended to 12 months in just $5.25. Provides AJAX-ed donations forms i.e, submission of donation form is without a full page refresh. Donations Manager is a Shortcode driven WordPress plugin. The best design for light and dark themes. Button PayPal Donation WordPress Plugin is an easy to use WordPress plugin. It allows you to embed buttons on any page or text widget for the donation functionality on your website. You can choose in between any button amongst the 27 adjustable and highly responsive buttons it provides. Button PayPal Donation plugin’s pricing begins with a regular licence fee of $16 for 6 months which can be extended to 12 months in just $4.50. Available for a preference of about 25 types of currencies. A Widget ready Plugin i.e, no need for any additional installations. Buttons have a customizable width. Use Woocommerce if you want to accept donations in accordance with the user’s donation choice, let them donate any amount they wish to. The donations are visible as Woocommerce product or on the cart. It’s a plugin that can easily integrate with any template that you have. Woocommerce Donation plugin’s pricing begins with a regular licence fee of $18 for 6 months which can be extended to 12 months in just $5.25. Can create products with existing properties such as non-taxable, non-shipping, not viewable or can create a product with custom properties of your choice. Links for donation are visible on both the cart page and the checkout. Reports are available each and every about donation. To accept recurring donations via PayPal on your website. Use the latest Recurring Donations plugin. The setup is very simple and quick. Once you are done with the installation of the plugin, all you need to do is enter a PayPal Email address in the settings and you are ready to accept recurring donations from users on your website. It allows your users to specify a donation amount that they wish to pay. Whether it is for subscription, one-time donation or monthly donation. The Recurring PayPal Donations Plugin is available for FREE. Create the donations buttons easily and embed them anywhere on your site using a shortcode. Produces an eye-pleasing and user-friendly Widget. Allows you to create multiple Widgets for various purposes. A user-friendly and simple shortcode that let you place a donate button. 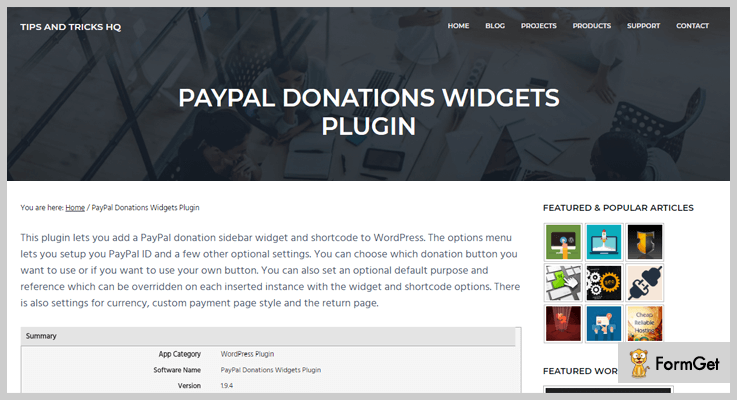 The PayPal Donations WordPress plugin is used to add advanced features like sidebar Widget and PayPal donation shortcodes to WordPress. It provides a options menu to let you set up your PayPal ID and other optional settings as well. You can override the functionalities for any inserted instance via shortcode option or Widget settings. Customizable options are available for buttons, payment page style, the return page and currency. The PayPal Donations Plugin is available for FREE. Generates valid XHTML Transitions and Strict code. Customizable widgets with optional purpose and references for the donation button. Provides simple shortcodes for buttons in your posts and pages. Plugins are judged on the basis of their performance in many aspects. Above listed are the Plugins which are the best fit for our Donations WordPress plugins need. If you are having any doubts or suggestions related to the topic please do share it in the comment section. We will get back to you as soon as possible.